What comes to mind when we say workstation? If you’re thinking some big, spaceship-like contraption, you’d traditionally be right. Extra points if you thought of a smaller-than-average office desk. These days, workstations are sleek and trendy machines that still provide a powerful punch for most applications. They’re useful tools for designers, engineers, financial analysts and researchers running more demanding applications, like rendering complex graphics, financial analysis and computations and digital content creation. But, with so many on the market, what merits do the office ‘power users’ look for when deciding upon which workstation is the best investment for an increase in productivity, limited downtime and improved reliability? We’ve rounded up 10 of what we consider to be the best workstations currently on the market – in no particular order – from the main vendors, and then some. From small form factor models to powerhouses, from all-in-ones to one for all, there’s bound to be one for you if you’re in the market. 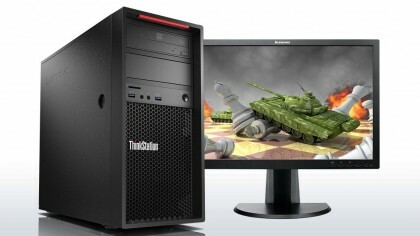 What is the difference between Gaming PCs, Workstation PCs and Desktop PCs? 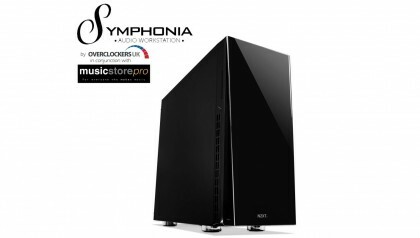 This is a digital audio workstation, one that is primarily aimed at those working in the sound industry and is a product of the collaboration between UK retailer Overclockers and the Music Store Pro. You have an extensive choice of noise-dampened mid-tower cases paired with an Intel Core i5-6600 CPU and an Asus H110-Plus motherboard. The latter uses audio shielding, dedicated audio PCB layers and premium audio capacitors to improve audio performance. Also on the list are a number of legacy ports (Parallel, VGA, PS2) that will be useful for older audio equipment. The i5-6600 is equivalent to the Intel Xeon E3-1225 v5. Both are Skylake-based with four threads/cores, but the Core i5 model has a lower TDP and a higher turbo frequency, but a smaller cache and a lower processor graphics speed. Overclockers provide a standard three-year warranty (24-month Collect and Return plus 12-month labour only). PC Specialist, unlike others, suggests that you select your main application before pulling up the recommended workstation. 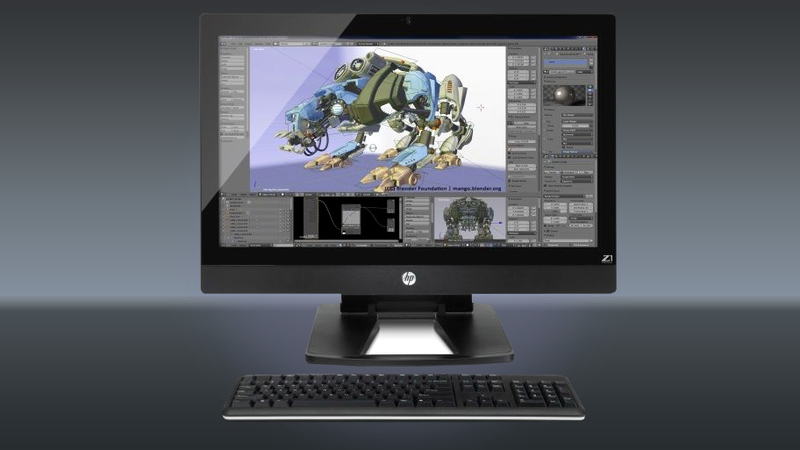 In our case, we chose the Maxon Cinema 4D, which brought up the HEX P K2200i. Opt for ANSYS Fluent, a popular simulation software, and a £9,000 workstation rig is suggested to you. As always with PC Specialist, they only offer one-month collect and return, one-year parts and three-year labour warranty, one of the lowest in the industry but it can be upgraded cheaply. The three components that shine in this workstation are the Intel Core i7-6800K CPU, the Asus X99-E motherboard and the PNY Quadro K2200 GPU – those three together cost more than £1,000 in the open market. As long as you can live without ECC RAM and the relatively low-rated power supply unit. Bolton-based Scan Computers International is one of the few remaining British system integrators and online retailers that have survived since the days of printed magazines (hello Evesham and Time Computers!). Their custom 3XS workstation series is “hand-crafted, customised and overclocked” and optimised for specific tasks – from trading PCs to Digital Signage. The Resolve Grading 4K Plus is the top of the range workstation and, as its name alludes to, is a bespoke system for the DaVinci Resolve. This beast pairs up a GeForce GTX 1080 and Quadro M5000 to allow the system to rip through any uncompressed 4K video footage. The workstation comes with a three-year warranty (on parts and labour) with the first year onsite, and 7-day technical support. 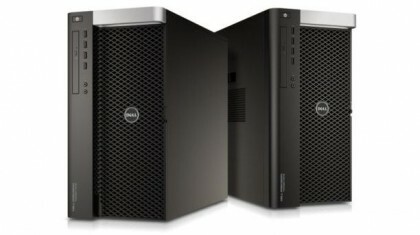 It packs a 3-year old Intel Ivy-Bridge Xeon processor with up to 64GB DDR3 ECC RAM and 1TB storage (no RAID option though). Its two AMD FirePro D500 GPUs are likely to be the weakest link in the system, however, and even the top of the range model doesn’t meet the minimum requirements to run the HTC Vive or Oculus Rift VR platform. It’s also far more expensive than a comparable Windows-based workstation. There’s no equivalent to the HP Z1 G3 on the market. 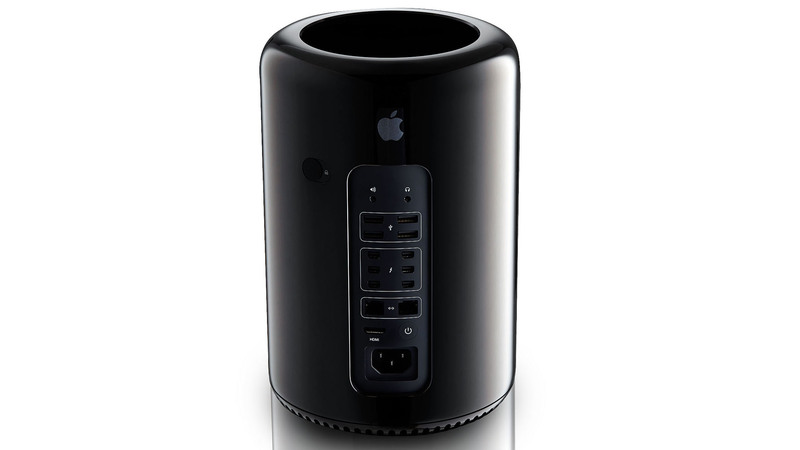 The Z1 family was possibly brought to the market in order to compete with (or at least provide an alternative to) the Apple iMac which doesn’t provide the same sort of professional-grade components. Using a mixture of laptop components (memory and 2.5-inch storage solutions) combined with an enterprise-grade desktop Intel Xeon CPU is an interesting alternative which we’d like others to explore, even in the laptop segment. For now, the Z1 G3 remains the only viable option if you are looking for a transportable workstation with an all-in-one form factor. Oh and regarding the price, it comes with a 4K monitor, Thunderbolt ports, HP’s nifty Remote Graphics Software and a three-year onsite warranty, upgradable to five with defective media retention. 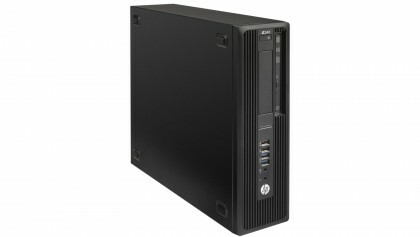 This is HP’s entry level workstation and one which is very keenly priced with a very compact form factor (about 11L). It’s hard to believe that the Z240 has an Intel Core i7-6700 CPU with 8GB of RAM and a 1TB hard disk drive. There’s even an optical drive. The company’s engineers have managed to deliver a system that weighs less than 6Kg and somehow has 20 (yes, 20) connectors and expansion slots (not all of them empty of course). 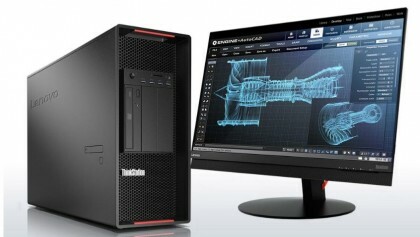 Lenovo told us recently that they went back to the drawing board in order to get the new generation of ThinkStation ready. And one of the products to come from this process was the P310, an entry level workstation which is designed to offer the level of customisation and attention to detail usually found on far more expensive products. It has a modular design with integrated handles to help move it around, and inherits the Flex Module from its bigger brothers. That solution allows users to mix and match the components and parts that they need, and this includes useful legacy ports like FireWire or eSata. 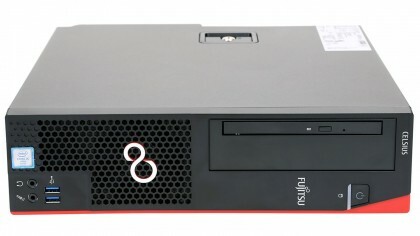 The £900 model comes with a three-year onsite warranty, an Intel Xeon E3 CPU, a pair of 1TB hybrid hard disk drives, Windows 10 Pro and a discrete Nvidia NVS 310 graphics card with two DisplayPorts. At the opposite end of Lenovo’s portfolio is the mighty P910, a workstation that offers one or two Xeon E5 CPUs; there’s no E3 here and definitely no consumer parts. It is expensive, industrial in its looks, yet functional in its design. And when we say expensive, we mean it. A fully specced model with 28 cores, half a terabyte of RAM, six half terabyte SSDs and two Nvidia Quadro M5000 cards in SLI will cost you around £15,000. You can pack even more in, but you will have to do it over the phone. The P910 uses patented Tri-channel cooling to keep the main components from overheating, which requires fewer fans and should, therefore in theory, translate to less downtime. As for most other workstations, you won’t need a single tool to swap components and there are no cables or plugs to worry about. The Precision range is one of the oldest workstation families in this roundup with its roots going back to the late 1990s. Since then a lot has changed with the sheer amount of compute power, storage and memory available. The Precision 7910 is the company’s most powerful and scalable workstation allowing dual Xeon CPUs, up to four graphics cards and even liquid cooling to keep things ticking over nicely. Dell is one of the few to bundle its own endpoint security solutions that combine malware protection, authentication and encryption. It is also one of the few vendors to ship legacy technology (PCI, Serial, PS2) by default. Oh and don’t be fooled by the base price (around £2,000). Once you fully load it, expect the price to increase up to twentyfold. Gladiator PC, a popular system integrator in the UK that are partner with one of the oldest online tech retailers in the UK, Aria. Workstation Specialists, who as their trading name implies, focus entirely on workstations and are based in the UK as well. Novatech is another veteran online tech retailer based in the UK. Workstation is a small part of what they do but they do anything from rackmounted models all the way to Tesla workstations. InterPro Workstations Ltd, is by comparison, a much younger specialist system builder. Doesn&apos;t mean that they are either less ambitious or less capable. And no, they are not linked with Intergraph&apos;s venerable InterPro. 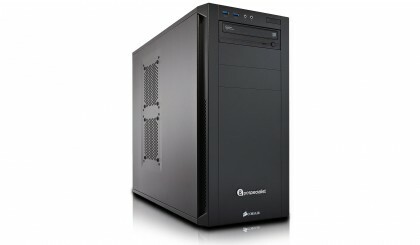 Another UK-based outfit, Computer Planet, is one of the few vendors we know of that delivers desktop workstations based on AMD&apos;s antiquated FX platform. No Opterons here sadly. Boxx is a well-known provider of custom workstation solutions and has been around for a fair few years. They produce what they believe are the finest custom workstations and claim to have the best technical support in the industry. Despite its name, Serverfactory does workstations as well although they tend to sell Supermicro&apos;s brand only – like a few of the names here. Arbico made their name in the gaming market but they branched out to cater for a more eclectic professional audience with an interesting propensity to package AMD parts in their workstations. Like many here, Broadberry has a finger in storage, servers and even transportables (laptops that look like they were teleported from the 1980&apos;s), giving them access to some great workstation partnerships. World Of Computers is an unknown quantity like a few vendors here. Located in Cambridge, it provides with an array of workstation products although they&apos;re happy to sell consumer components as well. Armari has long been associated with expensive and powerful computers. Based in Watford, they offer the ability to truly custom make your own workstation – from the concept to delivery. Hertfordshire-based Boston Limited are better known for their servers (including some cool liquid cooled blade ones) but they also have a line of workstations worth discovering. If there are any missing UK-based system integrators that specialise in workstation (fixed or mobile), drop me a line in the comments section.